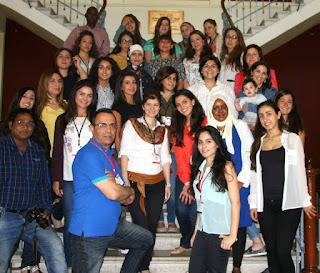 The 9th regional Professional Short Course in Nutrition in Emergencies was run by the American University of Beirut (AUB) in Lebanon, from 18-29th May, 2015. Congratulations to the 27 participants who successfully completed the course. Participants came from Lebanon, Syria, Sudan, and India, and included employees of NGOs, UN agencies and the Ministry of Health. The training took place over 10 days, with 8 days of classroom based learning and 2 days of field exercises, including an emergency simulation.